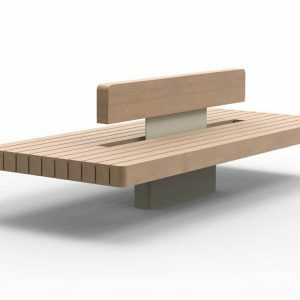 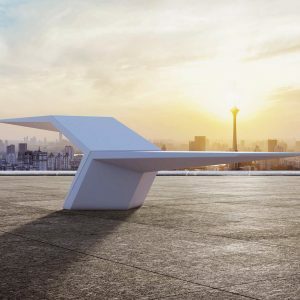 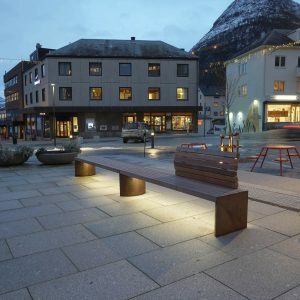 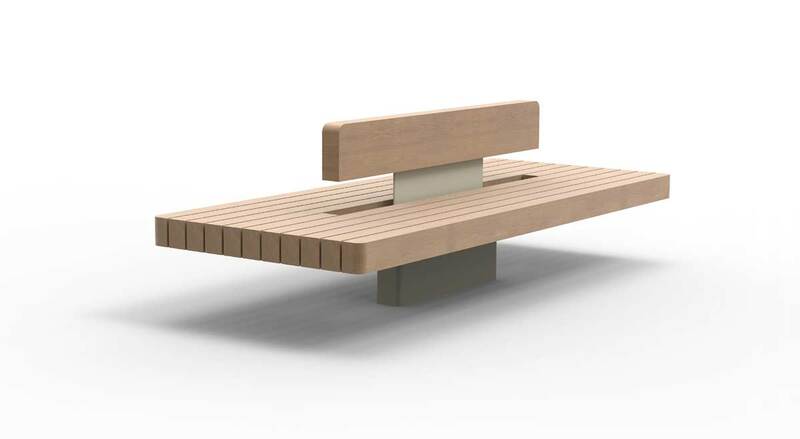 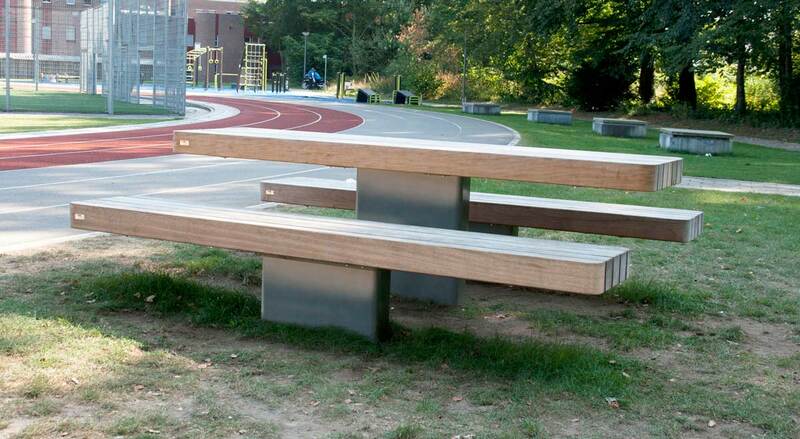 The Plane II is not just one bench, it’s a bench which comes in several varieties. 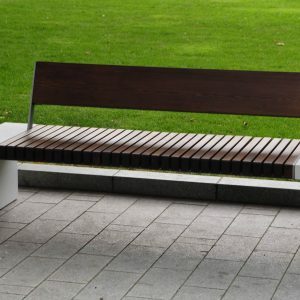 You can say it’s a family of benches. 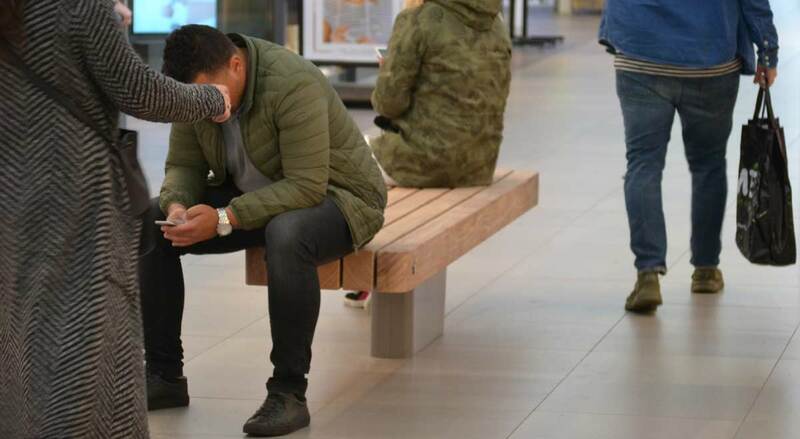 They all look similar to each other and that makes it one family. 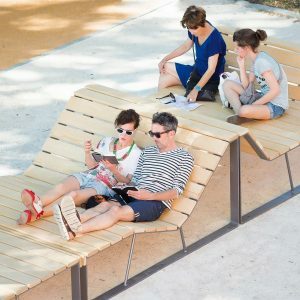 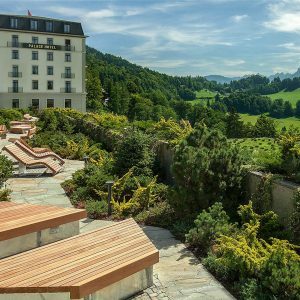 And this family makes it possible to create the perfect solution for relaxing, for meeting people, or just to enjoy the environment. 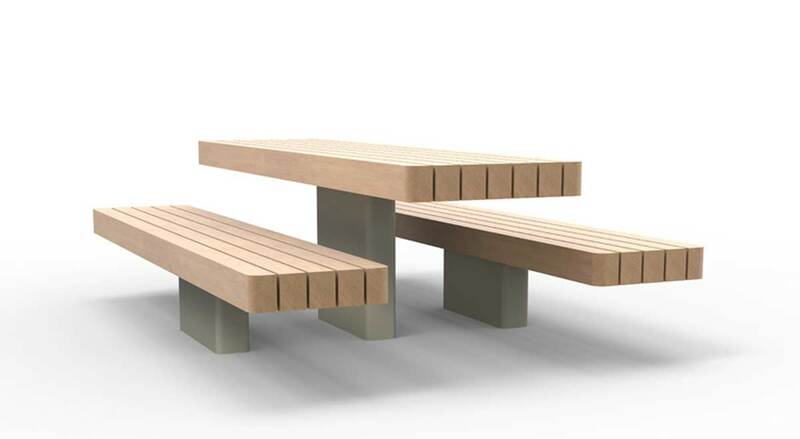 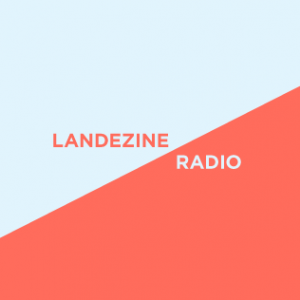 The Plane II is characterised by robustness, but has a soft appearance due to the rounded corners. 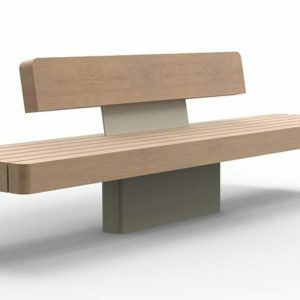 The unique design, the frame has one single foot, makes the bench float and gives it a calm and modern look. 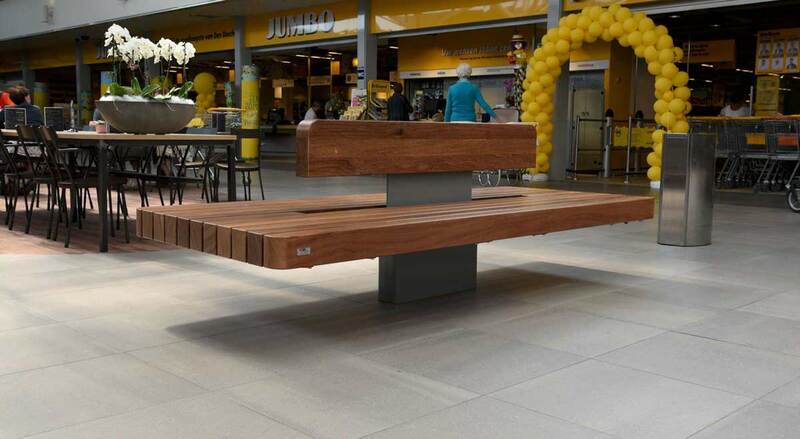 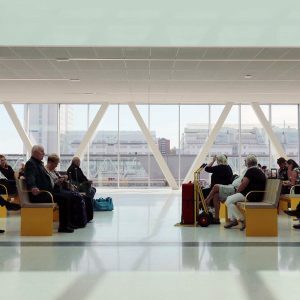 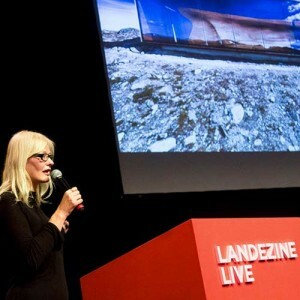 All five versions of the Plane II are extremely suitable for every public space. 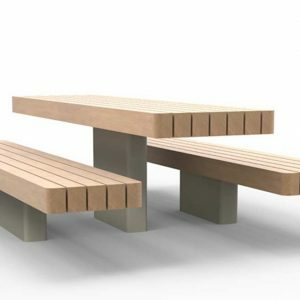 Every bench is made from 100% FSC hardwood. 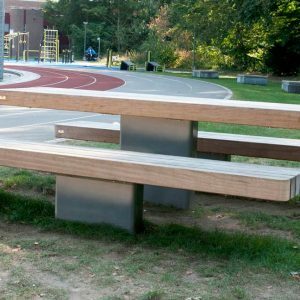 This gives the bench a bold and warm appearance. 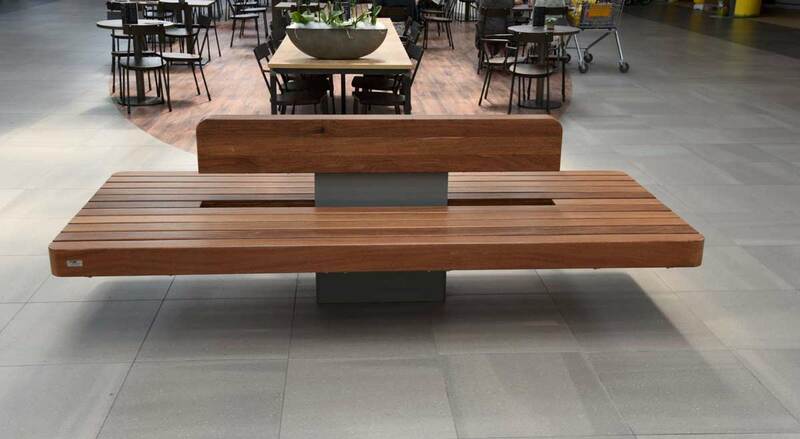 An appearance that can be perfectly combined in every urban environment. 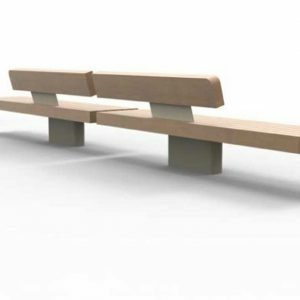 There is a Plane II single seat but also a Plane II double seat. 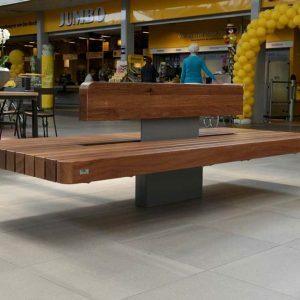 This one is very suitable for public places where a lot is happening and attracts many people. 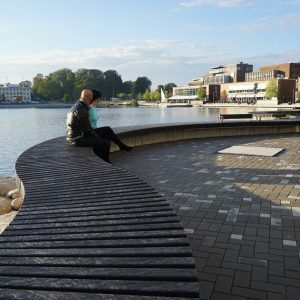 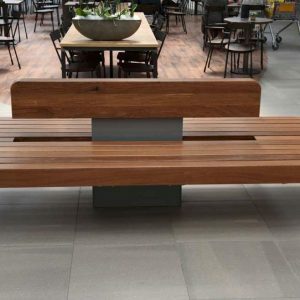 As it is possible to sit on both sides, the seating element has optimum use and one can really enjoy the environment. 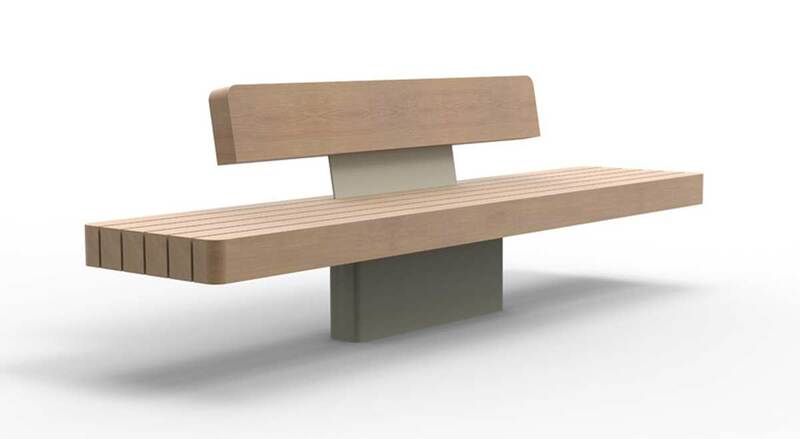 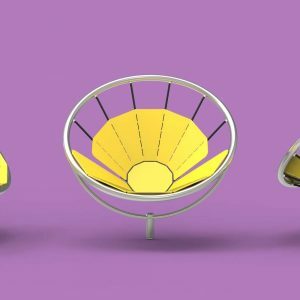 It is also possible to choose for a variant with a comfortable backrest. 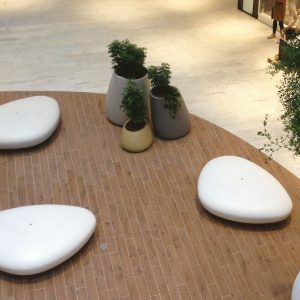 The design of the backrest is special. 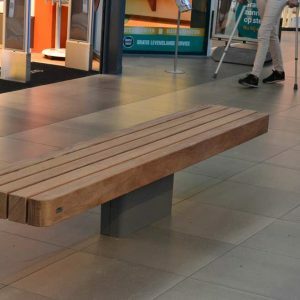 It looks likes the backrest is coming out of the foot of the bench. 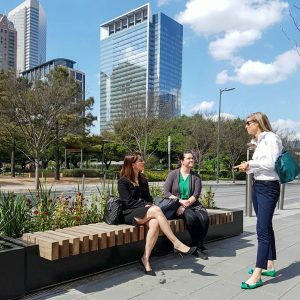 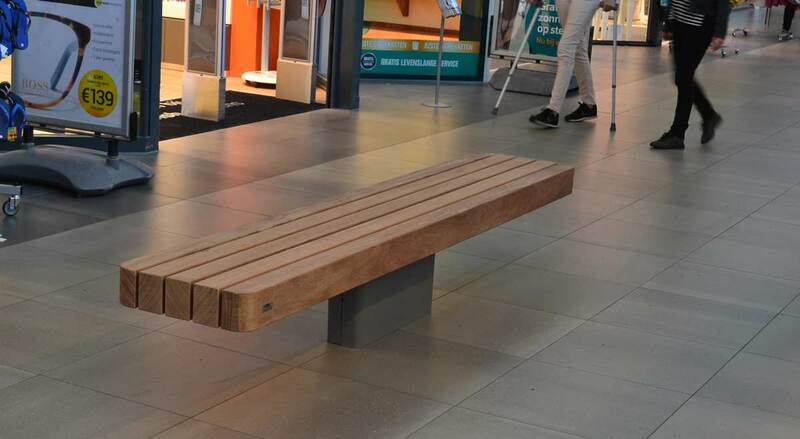 Not all public places are suited for a double seat bench, but can require plenty of seats. 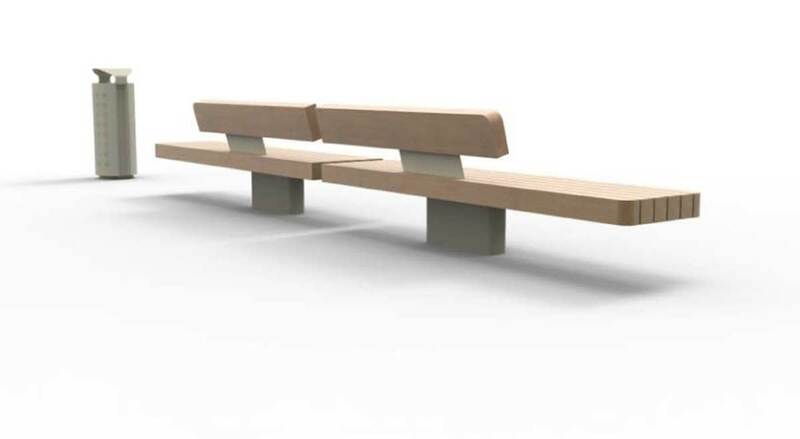 The Plane II family offers a special version which offers a solution. 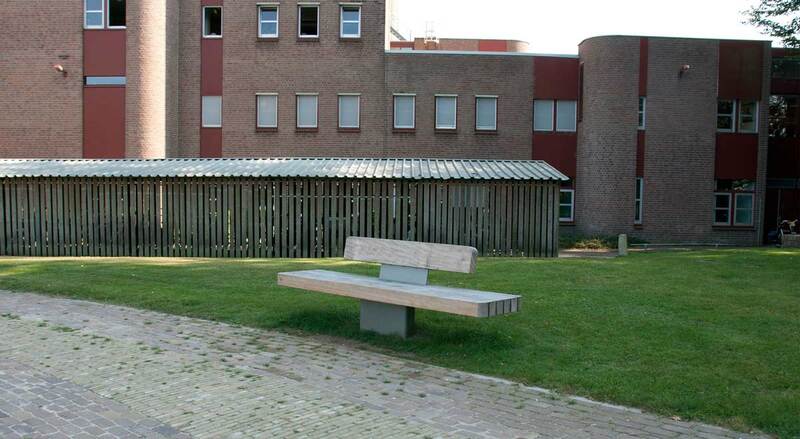 This bench has the advantage of many seats but all on the same side. 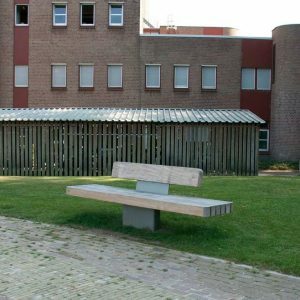 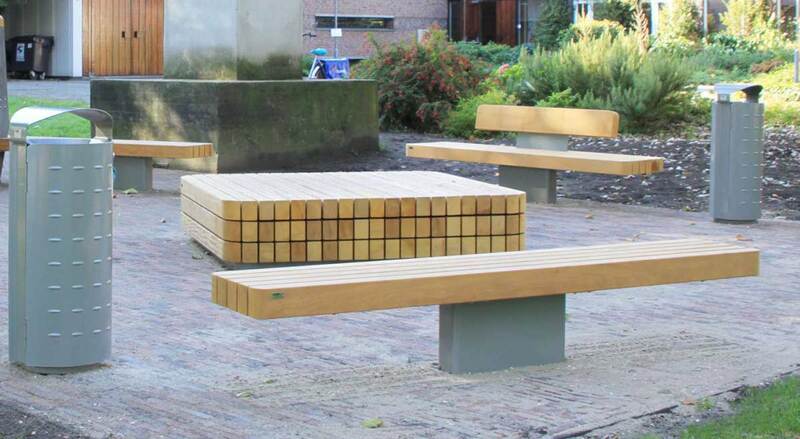 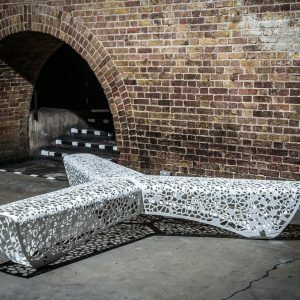 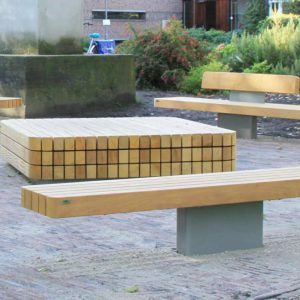 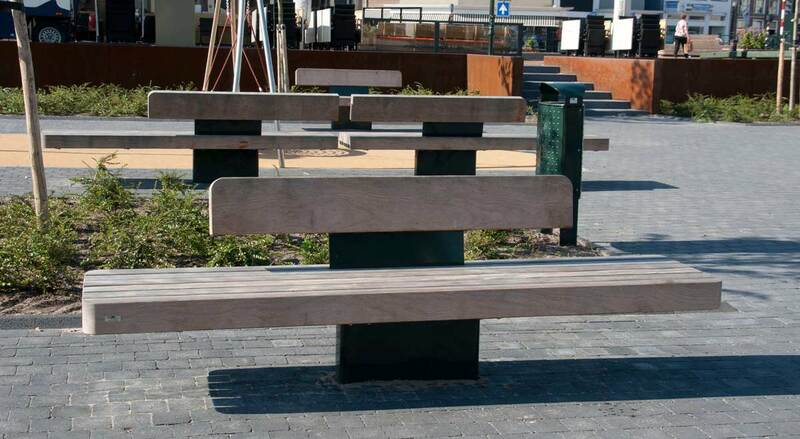 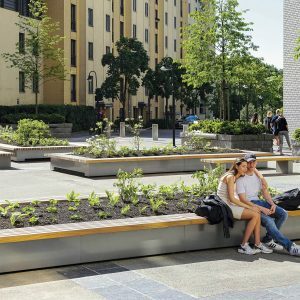 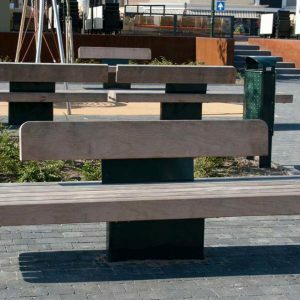 The benches look like two individual elements but the position of the backrest ensures that the two benches form one unit.